Earlier in September 2018, hopes for bilateral improvements surfaced when Prime Minister Imran Khan wrote to PM Narendra Modi and proposed that the foreign ministers of the two countries should meet in New York. India initially accepted the proposal for the two foreign ministers to meet during the SAARC ministers meeting scheduled on the sideline of the 73rd UNGA session. However, a day later, India turned down the proposal – accusing Pakistan for the killing of a BSF soldier along the border. India also held Pakistan responsible for the release of stamps showing Indian atrocities in Kashmir. These stamps revealed images of Burhan Wani who was killed by Indian forces in 2016 and Farooq Ahmed Dar- who was tied to the front bumper of an Indian military jeep and used as a human shield. Global leaders have convened in New York City to attend the 73rd session of the UNGA, Pakistan and India utilized the platform to address their bilateral concerns. India’s foreign minister- Sushma Swaraj- in her address blamed Pakistan for the breakdown of recently proposed talks and verbal duplicity, stating that the alleged Pakistani-backed attacks had forced India to withdraw. 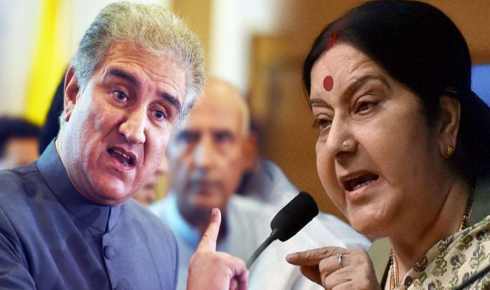 Reacting strongly to Sushma Swaraj’s statements against Pakistan, Foreign Minister Shah Mehmood Qureshi -in his address, said that India rejected the Pakistani offer of resuming talks on flimsy grounds, instead the foreign ministers could have been a great opportunity for dialogue. FM Qureshi maintained that Pakistan wanted ties with India based on mutual respect, stating that “We are ready to talk to India on all issues but with respect.” The foreign minister also highlighted that the Kashmir issue is the biggest obstacle to regional peace, adding that the Indian forces are subjecting Kashmiris to atrocities for seven decades. The annual ministerial meeting of SAARC also took place on the sidelines of the 73rd UNGA. The meeting was hosted and chaired by the foreign minister of Nepal and was attended by the foreign ministers of SAARC member states. However, the foreign ministers of Pakistan did not meet and instead soon after making her statement in the SAARC meet, Sushma Swaraj left the venue and did not wait for Pakistan’s Foreign Minister Qureshi to present his statement. FM Qureshi while speaking to the media stated that he paid careful attention to her statement and call for regional cooperation but how could such an objective be possible when India was acting as a barrier to said cooperation. FM Qureshi added that India had not responded positively to Pakistan’s invitation for dialogue, he pointed to the upcoming elections in India as being the probable reason behind Indian rejection to hold talks. 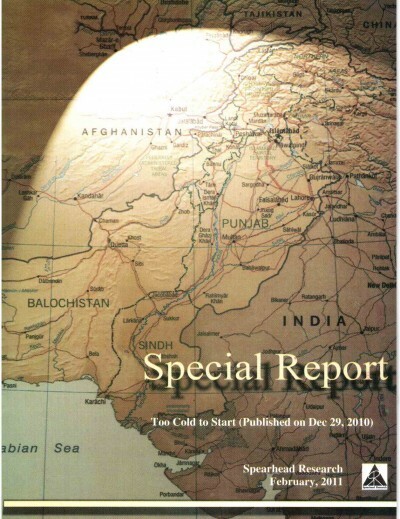 Karan Thapar in a recent article criticized the Indian decision to cancel the agreed to meeting of Indian and Pakistani Foreign Ministers in New York. He also stated that Mr. Modi’s remarks about Imran Khan were not appropriate though he added that Imran Khan’s tweeted response was also intemperate. If the Indian Prime Minister and the Indian Army Chief, choose to personally make disparaging remarks Pakistani leaders need not respond except through the Foreign Office. Pakistan’s Army correctly responds through the ISPR.